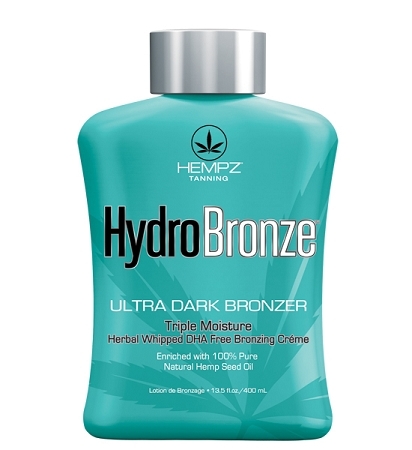 Hempz HydroBronze Herbal Whipped DHA Free Bronzing crème is a revolutionary hybrid formula. It combines Ultra Dark Natural Bronzers, for dark streak-free golden color, with our exclusive Triple Moisture Complex that helps provide all day moisturization. This dynamic duo delivers everything you need for dark natural looking tan and skin that feels soft, smooth and supple.